From $ 1,403AUD per night We have direct contracts with most villa owners. We don't add any booking fees. We are 100% transparent with no nasty surprises. 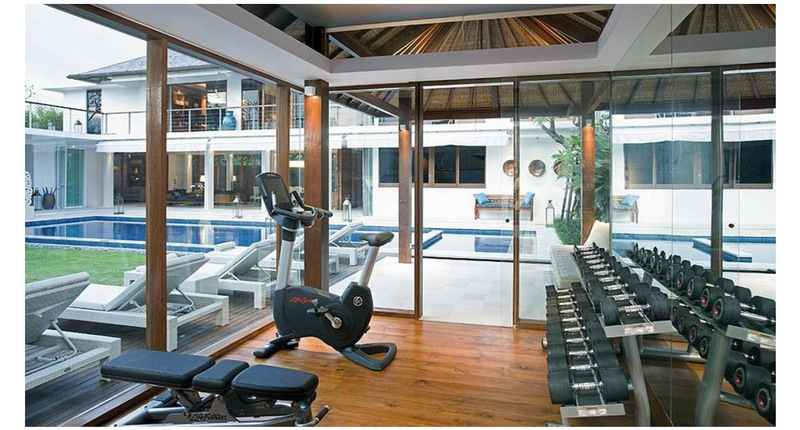 One of the best locations in Seminyak - rent this now! Fantastic value for money considering you are getting a 5 bedroom villa that’s in a really popular Seminyak area. In house villa staff to cook and clean for you every day and make sure that your holiday is absolutely perfect – you even have your own private chef and butler! Villa Cendrawasih is a 5 bedroom Seminyak holiday villa rental & is located in the most action packed, exciting & sophisticated holiday spot in Bali; Seminyak. 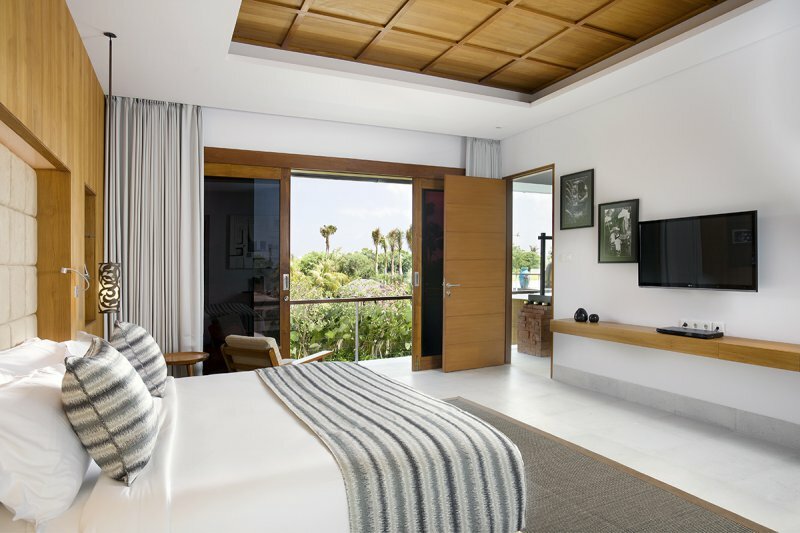 With close proximity to the Woo Bar, Ku Dé Ta, Potato Head, the famous ‘Eat St’ and a mere 5 minute walk to the Petitenget beach, Villa Cendrawasih is no doubt the perfect choice for an amazing family or group holiday in Bali. If location matters then this villa is the perfect choice. 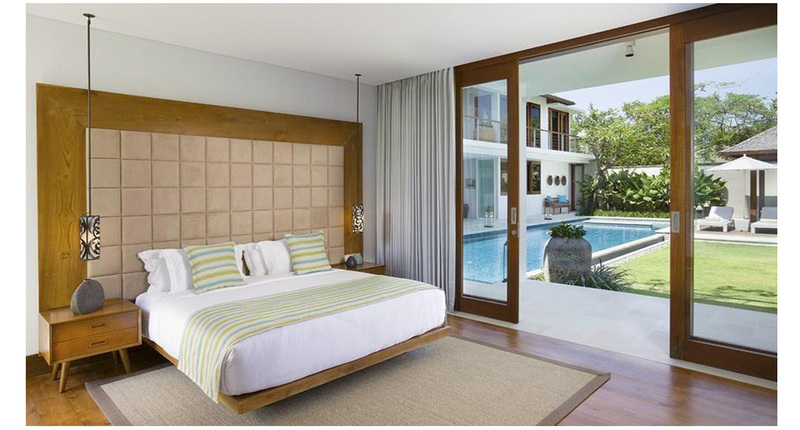 This 5 bedroom Bali villa makes quite the statement by its architectural style, décor and interior design. Stepping into the Villa Cendrawasih, guests are immediately dazzled by the white structural edifice with its complimenting wooden frames. Built to maximize space, villa Cendrawasih is the perfect choice for families or large groups as this villa can comfortably house 10 people. It’s great for entertaining and if you want to see how the jet set and movie stars live, then this villa is the perfect show piece. The living area is tastefully adorned with grey furniture arranged to overlook the impressive pool. With a dining table that can seat 10, this villa is perfect for entertainments of friends or a large family get together. 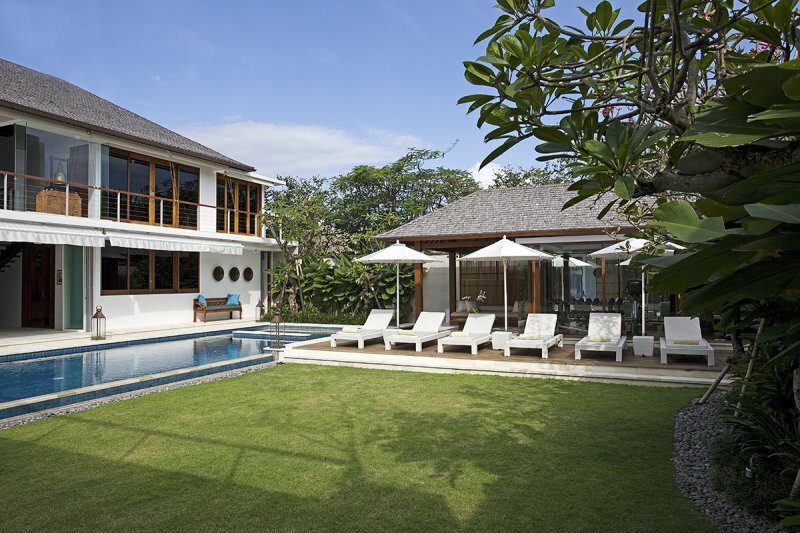 Villa Cendrawasih strives to create the feeling of a home away from home. 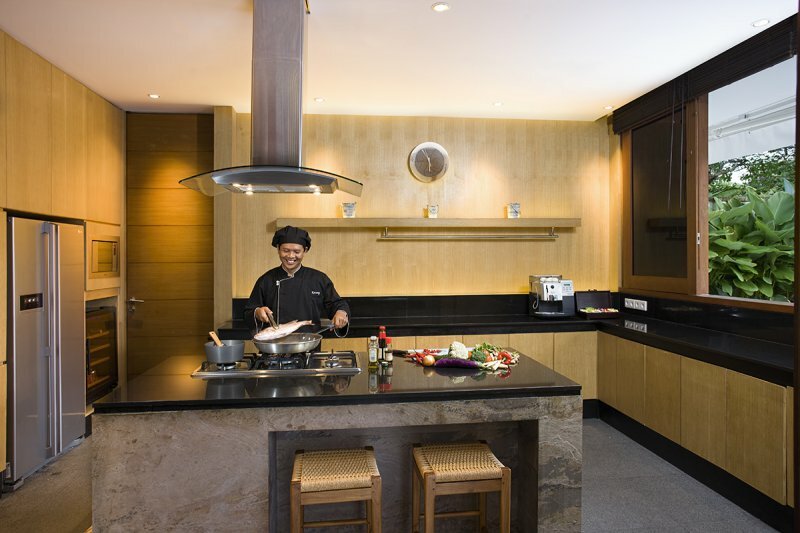 The kitchen is very well equipped & fully fitted with modern day appliances to ensure a comfortable stay. You can enjoy the scenery of the gardens whilst you cook up a feast. Are you an exercise buff? Do you want to burn off those extra holiday calories? Then the Villa Cendrawasih is the perfect choice for you. 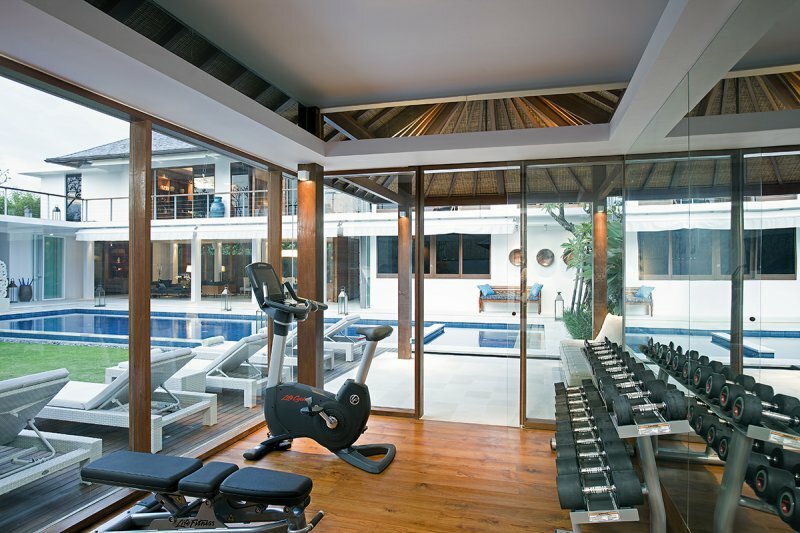 It has a gym fully equipped with treadmills, a different array of weights and other equipment to give you the full body workout you desire. And after working up a sweat, nothing beats taking a dip in the amazing pool that is the centre piece of the Villa. 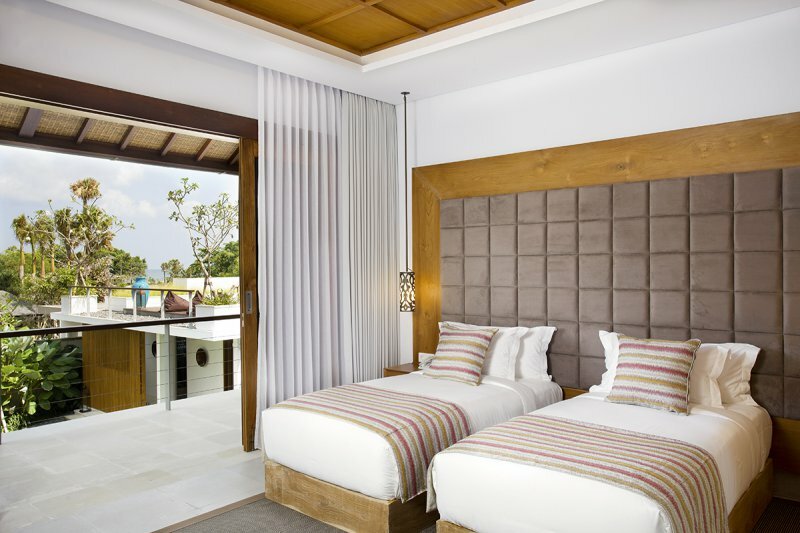 The 5 bedrooms are roomy and tastefully furnished to create a relaxing atmosphere for guests. 3 bedrooms are located on the ground floor overlooking the pool, while the other 2 are located on the second level overlooking the beautiful tropical gardens found in the Villa Cendrawasih. 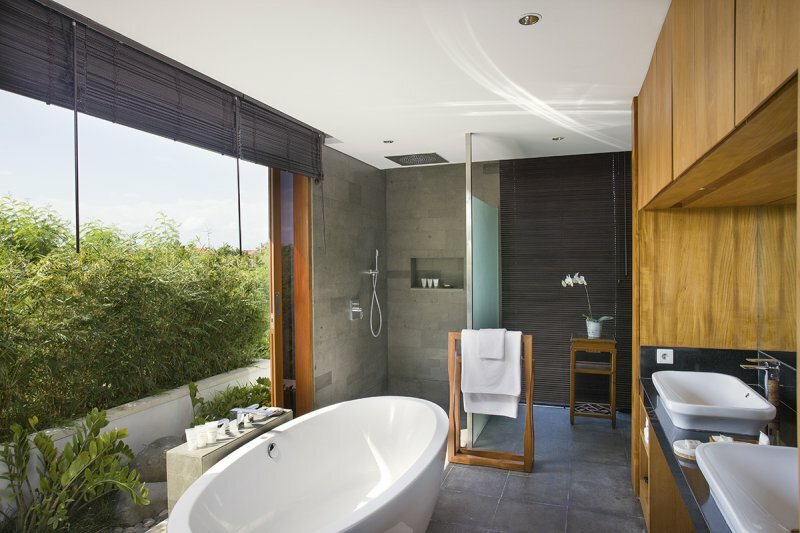 All five bedrooms have ensuite bathrooms with inviting bath tubs and showers – perfect for loads of privacy especially if your here with a large group. As the sun sets after a long day, there is no better way to relax than to head up to the rooftop terrace with a drink in hand, catch glimpses of the beautiful coastline of Petitenget beach while you watch the sunset. 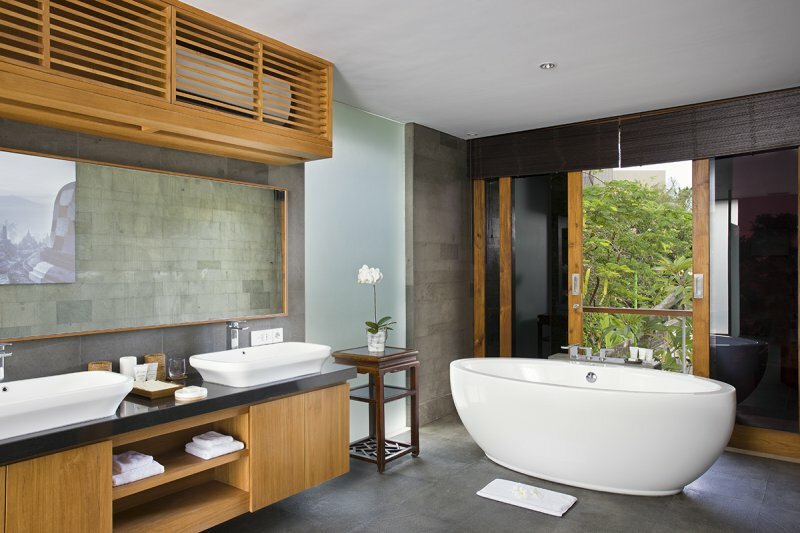 This is holiday Bali villa living at it’s finest. The location of Cendrawasih is perfect as your right in the heart of Seminyak. Your close to many well known restaurants and cafes including: Ku De Ta, Potato Head and Whoo bar at The W. For the kids there’s loads of family friendly restaurants and reasonably priced cafes where you can take the whole family for a meal. Try: Sea Circus, Sisterfields, Hanks Pizza & Johnny Rockets. To view other family friendly Seminyak villas or our full range of 5 bedroom Bali villas please browse this website or contact our reservation team. This is a popular Seminyak villa so if your planning a trip to Bali, especially during the Australian school or public holidays please book Villa Cendrawasih well in advance. We travel a lot to Bali and all we can say is that this is one of the very best villas we have been lucky enough to stay in. Villa Cendrawasih is pure luxury on a grand scale with all the best features combined together to make this our 'go to' villa. Location, facilities, staff, service and rooms are all world class. We love centrally located villas close to Eat Street for the kids and this villa was perfect for that - everything was right there on our doorstep - plus it was really quiet for such a prime position. The villa staff were super friendly and always smiling which does make a difference. I just want to say a huge thanks to Dewi and Lala at Bali Villa Escapes for their time and effort in organisng this for us and answering all my emails - you guys are legends! 10 out of 10 for sure. Rooms were excellent, large, clean and very well maintained. The kids loved the swimming pool and were in there most of the day. The villa staff were also pleasant, helpful and cooked us the most delicious snacks. A wonderful holiday experience made even better by this fabulous villa. When we come to Bali again, we are definitely going to stay here. The bedrooms were lovely and very clean which is exactly what we wanted. The villa staff were also extremely friendly and very helpful. Being in Seminyak and close to so many wonderful places was also really good. Loved every minute here with our family. We loved every minute here at Villa Cendrawasih!! An exceptional place for your holiday in Bali. AMAZING VILLA & TOP LOCATION!! Not much more to say except this was a fabulous holiday.